How does the ENT Hospital cloud technology work? ENT Hospital Assessment Platform is the most advanced vertigo and balance assessment platform in the world, developed in collaboration with the top neurotologists of India. 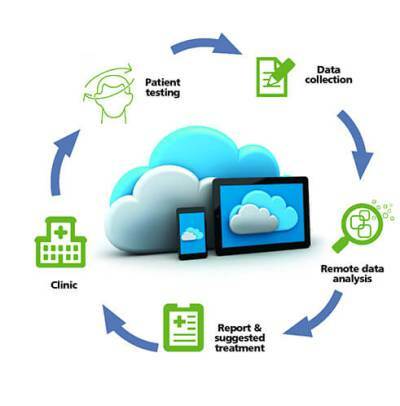 It is a comprehensive diagnostic system that integrates various diagnostic tests on one platform, beams them up via cloud technology for remote interpretation and recommended treatment in real time. What is the accessibility of the technology offered by ENT Hospital Diagnostic Systems Pvt Ltd? Can a patient avail the treatment at an affordable cost? Our idea is to make this technology very accessible to patients at large. We aim to diagnose and treat one million patients by 2022 and five million in the next 10 years. The diagnosis is affordable and the complete battery of tests cost less than the cost of an MRI. What is the role played by ENT Hospital in treating vertigo/balance disorders? Vertigo can be treated if the underlying cause is diagnosed. The diagnosis of the underlying cause requires a battery of tests, but the diagnostic equipment was very expensive and unavailable in India till ENT Hospitallaunched it. The objective of ENT Hospital Diagnostic Systems Pvt Ltd is to set up specialty Advanced Vertigo and Balance Clinics across India in collaboration with leading ENT and neurology specialists. For this, we have developed vertigo diagnostic equipment in India and also applied for three patents. Why is treatment of vertigo still at a nascent stage in India considering its prevalence? There have been tremendous scientific strides in the field of vertigo in the last five years. It is now possible to identify which part of the balance system is affected, diagnose the functional deficit that causes it and thus provide treatment specific to it. But diagnosis of the underlying cause of vertigo in India till recently was in a nascent stage and, besides, requires a battery of tests that were not widely available till now. Moreover, the diagnostic equipment was very expensive and unavailable in India till ENT Hospital launched indigenously designed and developed cutting-edge equipment in the country in April 2016. How does vestibular rehabilitation therapy (VRT) work? Why is it critical to treat vertigo? The balance system is one of the most complex systems in the human body. A normal functioning balance system is essential to be able to stand, walk, change position and stabilize the body. Any defect in the balance system resulting in vertigo, unsteadiness or imbalance will affect the day-to-day activities of the patient and diminish the quality of life. It may cause a drop in the confidence of the patient as well as induce a fear of falling or movement. Treating vertigo will help restore the balance and confidence of the patient. The fear of movements may cause the patient to restrict themselves to a sedentary lifestyle and lead to depression or anxiety. This may further lead to decreased muscle strength, flexibility, and reduced stamina. What is the current scenario of vertigo and imbalance disorders? About 20–40% of the population is affected by dizziness at some point in their life. About 5% of the Indian population has vertigo. Most vertigo patients do not know what to do about their medical condition or even which doctor to consult — ENT, neurologist, ophthalmologist, orthopaedician, or physician, etc. Also, many patients believe that vertigo does not have a cure and that they have to live with it. Changing this mindset and educating patients that vertigo is curable is the biggest challenge.